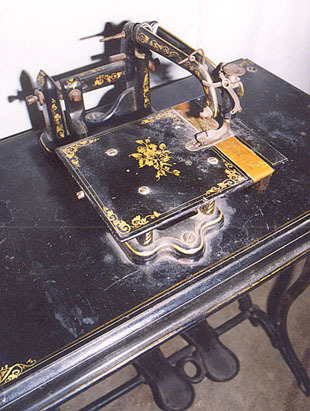 Collectable sewing machine - The Wanzer No.1. At first glance, R.M.Wanzer's earliest known model appears to be a simple Wheeler & Wilson's copy. However, the needle arm is powered by a Singer-style v-shaped yoke. The shuttle type is also different, being a straight race configuration. First patented in the UK in 1863, an overlocking variant followed two years later.